The Algonquin/Apache Nation Chief would like to invite all the tribes of his nations to the Boys Fall Longhouse, which will be held November 4-6 at the Spirit of the Suwanee Music Park. For those new to the program, it is an event you won’t want to miss. Fall Longhouse is a special time that is designed to strengthen the bond between parent and son. Activities will include, Water Slide, Water Balloon Fight, Archery, BB Guns, Egg Toss, Zip Line, Critter Race, and the Sacred Fire Ceremony. 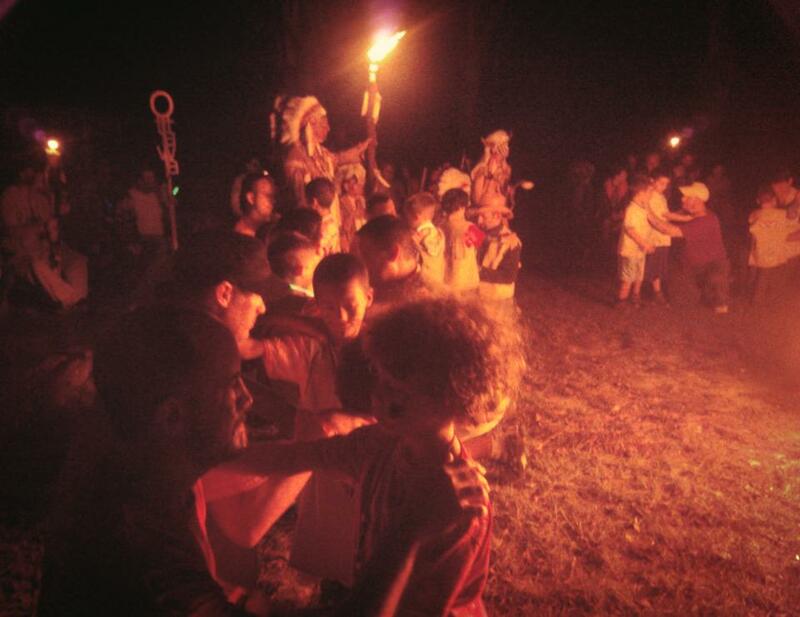 Each boy, new to the program, should bring 2 acorns to the Sacred Fire which will be held on Saturday Night. Each new tribe, should bring a torch, decorated to represent their tribe. Bring your tribal regalia to show off to the Nation Chief. He wants to see fur, feathers, spirit sticks, drums and anything else you tribe has crafted. If your brave has not earned a feather for knowing the aims and pledge, practice them and visit the Federation Chief and Medicine Man at the event. Early bird registration is $25 per person for tent camping or $40 per person for RV camping and can be paid on CircleBridge. This fee includes all of the activities and crafts, a patch, electric and water hookups at the campsite. Registrations paid on or after October 31 and onsite will be $30 per person for tent camping and $45 per person for RV camping.